With a set of hot tub steps, you can climb in and out with ease. Hot tubs come with many benefits. When you have a hot tub at your home, you can take advantage of these benefits, including stress relief, reduced muscle soreness, and relaxation. However, climbing into your hot tub can be dangerous, especially if your mobility is compromised. If you have sore, tight muscles or pain in your body, enjoying a relaxing soak in your hot tub can help, but the last thing you want to worry about is not being able to climb in or out. Instead of taking a risk as you try to enter the tub, check out the selection of hot tub steps we have at S & H Pools. With a set of hot tub steps, you can climb in and out with ease. 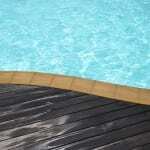 These steps are made of water-resistant materials, so they can withstand moisture exposure without becoming damaged. Many of the steps we carry in our shop also have non-slip grips to prevent accidents when you’re standing on the steps with wet feet. Customers located in and around the Hickory, North Carolina area can take advantage of the wide selection of hot tub accessories that we have available. In addition to hot tub steps, we have a variety of options to help you take your hot tub to the next level. If you’ve always dreamed of adding a hot tub to your property, visit our location to view the tubs we have in stock and choose the one that will offer the benefits you want. We’d love to help you start enjoying your new hot tub.